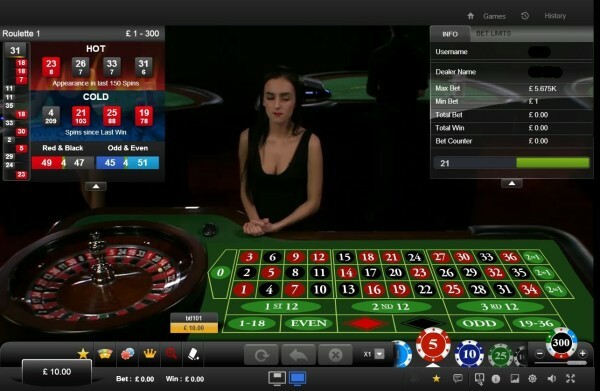 JenningsBet is one of the UK ‘s leading independent Bookmakers. They have betting shops located mainly in the south of England but also in Jersey and the Isle of Man. The online sportbooks offers some of the best value odds on the internet. They book premiership football games to 104% which is one of the lowest around for 1X2 betting. Founded in 1961 when off course betting was first made legal in Britain, the company has grown from strength to strength. In 2008 Jenningsbet.com was launched and quickly grew by taking over the client list of the defunct Premierbet. Punters were glad when Jennings offered to refund losses of ex-Premierbet customers up to £100. 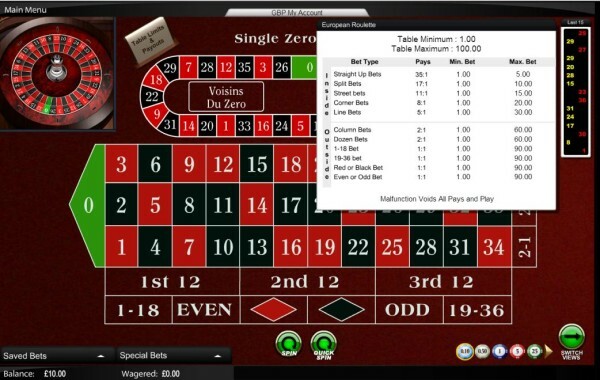 Jenningsbet roulette provides a range of tables. Strangely, they provide a double zero American roulette table. No point in playing those when they have a European Roulette table a click away. Stakes start at £1 online which is high compared to the 20p roulette in the shops. Available to all Jenningsbet.com players over 18 years of age. Please gamble responsibly. If you are having problems please get help. Gamcare,BeGambleAware.org or other gambling organisations can help. 18+ Only.